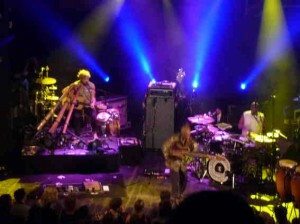 Interview with australo-canadian multi-instrumentalist* Xavier Rudd in Hamburg, Germany. His most important instruments beside his extraordinary voice are a variety of Yirdakis (Didgeridoos) and a Weissenborn guitar which originates from Germany. 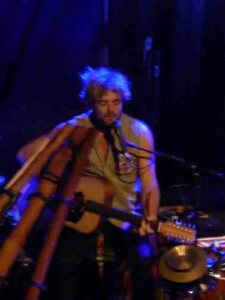 The wonderful and harmonious music – a mix of traditional and modern styles, Xavier Rudd names before all Paul Simon whose music has influenced him much – with partially very touching lyrics about „Mother Earth“, nature, humans and feelings is seducing audiences all over. 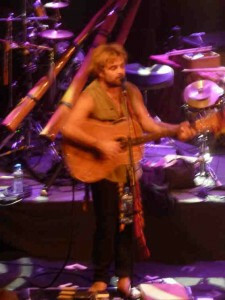 Xavier Rudd who is following a strict vegetarian lifestyle mostly enters the stage alone. A one man show. 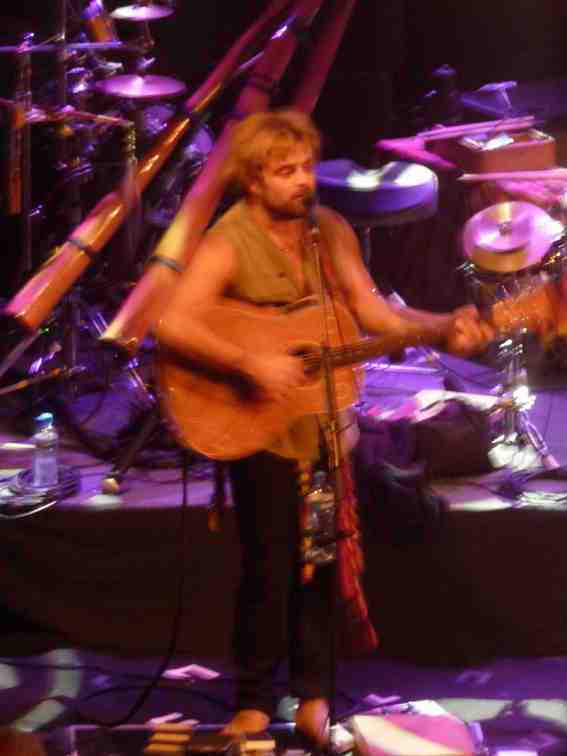 In his home country Australia, in North America and in Europe he is already well known and loved for his sympathetic personality, his wonderful music and his activism for the Indigenous People and ecology. Xavier, you just have been jogging, showering and enjoyed a vegan meal. The sun is shining and in a few hours your show will start: How are you doing? Thank you for asking, excellent. Actually, I’m jogging everyday. I need to move a lot. I’m a musician but I’m also a surfer. As touring brings it with it I can’t surf as I like to so I need something else. I’m fine with jogging. Your heart is beating not only for vegetarianism but also for ecology just like that of you wife. Your wife is famous as an environmental activist in Australia. In how far are you supporting her? As much as possible, when I’m at home and have time we are starting something. But being honest time is critical. I things work out well we organise workshops, camaigns or something like that. You at least played once the Bonnaroo-Festival in the US before 60.000 people. The festival is said to be green. (Laughs) Yes, for Americans that might be so, okay. But that is not comparable to lets say Europe. BUT it is a huge step for big business as the Bonnaroo and other big festivals are some kind of pioneering conscious action towards protecting the nature. Imagine that in the US there are areas and even cities that even do not recycle. In this contect those festvals are sending out strong signals which can’t be overestimated. His music is so very good. You follow a vegetarian lifestyle. Actually why? I’m from Australia and when I see Indigenous People killing a roo they follow a constraining ritual, a ritual as strict that it could happen that they need to stay hungry for quite a while because the circumstances do not fit. Even if animal products are for me no option anymore. I’m a vegetarian – full stop. But beeing out there in the outback and following such ritual before killing is something I can understand. A totally different thing it is when you go to the supermarket and there are thousands of pieces of meat of which you don not know who cut them into pieces. Millions of mistreated animals out of mass production killed and cut to pieces that is something I refuse fundamentally. When you spent time at home, who is the chef then, your wife or you yourself? I sometimes cook, too. But I’m not really what one would call a good chef. When my wife and I are both at home most of the time she is doing the cooking and she loves that. She is brilliant. I for myself would say that I’m really good with cooking in nature. A good bush-chef so to say. On open fire I’m really good. You are touring all over the world, you spend time in Canada, isn’t it difficult to find time to spent with your family in Australia? Yes, it is. But I mean you need to know what is important for you. I spent some month each year at home. We have recently finished to build a house which is quite interesting. The house is a 100% sustainable and based on a straw-bale construction. 95% of the materials are recycled as there are par example the wooden timbers which we found in a neighbouring city from an old house at the harbour. All the waste from our house is processed in a natural way. We maintain a worm farm and all the water is cleaned in a system consisting of plants. You have to be very responsible with all what you are doing. If we feed the sytsem with refined materials we would see it at once as the worms and plants would be more or less harmed. You learn or better relearn to be careful with everything but that gives us a real good feeling. You start to understand more of the cycles in nature. We have two sons who live in the house. They are nine and four now. They grow up with this kind of experience and I think that is extremly worthwhile for them and for their environment. How is the energy provided? We have a 100% solar-energy. Trees around which we built the house are serving as natural sun shades. Of course we haven’t cut down any trees so that now everthing is well integrated. Everyday the sun is shining for some hours directly on the house gibing us enough ernergy. Tell me a little about the music scene in Australia, please. Well, it’s quite vivid over there and there is extremely good music around. The summertime with all its festivals is the most exciting time. Those festivals are located at fantastic locations and there is a lot of vegan and vegetarian culture around. We have many „Love and Peace“ Festivals in the forests and on the seasides – a magnificient time. Your own music is very much inculcated by the music of the Indigenous People. What is your personel connection to the Indigenous and their culture? My connection two eyerything concerning the Indigenous People is very strong. I have many friends all over the country. My grand-grandmother was Indigenous and her spirit is still living in me. That is a very intense feeling and I very much feel connencted with her and with that culture. It was there from the beginning as long as I can think back. That could be, definitly. But keep in mind that my personel impressions of things originate from my ancestors. I don’t know how you see those things but for sure as we ignore our own nature and origin we will loose connection no matter where we are from. My origin means a lot to me and especially when I’m back in Australia that goes very deep and that is what I sing about. 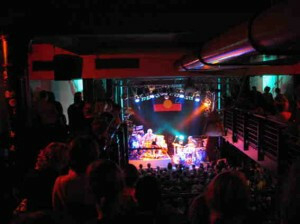 During your shows the audience is absolutely enthusiastic with you. There is so much support and happiness expressed in differing ways. I mean it is an fantastic atmosphere. What do you think about that? I like that very much, of course. What I do is I communicate with the people, I want to give them something of which music is a part of. Music facilitates a lot. I want a personel connection and the more I give of myself the more is coming back. 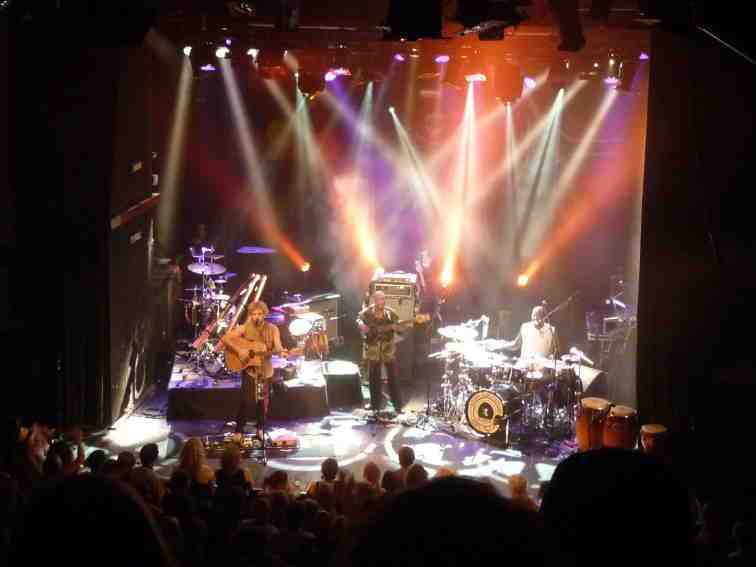 The audience and I we experience things together our energy is joining and I find such things unbelievable. I love that very much. I see that as a great giving that I can play my music everyday somewhere in this world. Play my music in front of so many wonderful people. Those people come to my shows and they leave all their problems at home or at latest they loose them during the show. That is something really, really important. That is kind of the function of music. The people bring their good vibes, I bring mine. Everybody is being energetically and emotionally enriched afterwards. Give a little bit, take a little bit. Sharing. That is what all is about. Final question: What is it that makes surfing so special for your? Quite easy. While surfing you are to the utmost connected to the power of „Mother Earth“. Your are out there on the sea. What you feel there on the water is incredible. There is so much power as the water is permanently moving, forward backward, backward forward. Up and down. Circling. Movement is essential to life. You are becoming a part of that. Sometimes I’m the only human being out there in the bay, absolutely alone on the water and fully connected to the energy. You are dancing with the sea then. Xavier, thank you very much for your time.